In 1981, Lee started his towing and recovery career in London, England, when he joined the team of towers at M. V. Recovery Ltd under the watchful eye of Stewart Elphick who Lee credits for his towing practices. Within five years, he had worked his way up to management and managed his first towing facility at the Clacketts Lane service area on the M25 Motorway. After meeting Roger Coffey in 1993, he decided to relocate to the United States to continue his career. He was approached by Michael Boniface and asked if he’d be interested in demonstrating the Sidewinder which he did. This work experience was instrumental in Lee meeting many notable people in the towing industry here in the United States. In 1994, he began working for Bluegrass Towing Inc. in Lexington, KY. 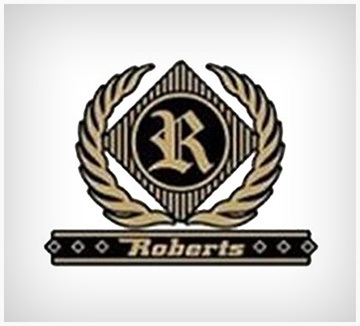 In 1999, Lee left Bluegrass Towing to start his own company, Roberts Heavy Duty Towing & Recovery, LLC. He started out with 1 truck and himself which he did for 5 years. 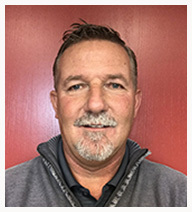 In 2004 he got his first employee concentrating on primarily heavy duty towing and hauling he grew the company to a 9 truck 13 employee operation. Later in 2012, he had the opportunity to acquire his former employer’s company. Through Lee’s hard work and dedication, the one truck operation has grown into a 66 truck, 65 employee operation today. One of Lee’s biggest honors was when he was asked to unveil the statue for the Wall of The Fallen in 2006. He is an Advocate for safety in the profession and believes training is the key. Regular training and safety meetings are held with his employees. Lee also believes in giving back to both his community, as well as, fellow tow operators. He regularly contributes to children’s charities throughout the Central Kentucky area that his company serves coupled with making a donation to the Survivor Fund every time a fellow tower passes in the line duty. Lee is a long-standing active member of TRAA, TRAK and SSTA in an effort improve our industry. Lee thanks his wife Judy, Daughter Rachel grandsons Brody and Colson for their support and especially all of the employees for making Roberts Heavy Duty Towing what it is today. Robert Heavy Duty Towing Inc, is setting “The New Standard in our Industry” by conforming to a strict code of conduct and ethics of honesty as our driving force. 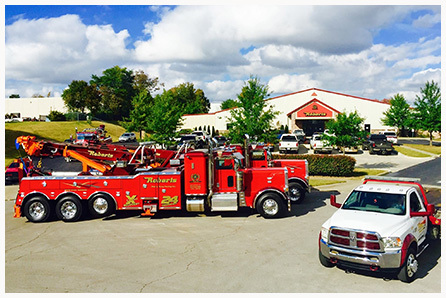 We are committed to providing our customers big or small, professional towing, transport and recovery services. In doing so we pledge to protect your property and the environment. Through continuous education, training, and company best practices we will complete the circle of emergency services vital to our customer’s needs. • Provide first-rate quality Customer Service in a timely and efficient manner that exceeds the industry norm. • To provide service in a manner in which Honesty and Integrity are always in the forefront. • Concentrated Growth effort in expanding customer base and fleet capabilities while maintaining our competitive edge. • Continued Reinvestment in our company. • Strive to stay in the forefront of Innovation. • Operate in an open and fair manner, obeying all laws and regulations. • Safety is our priority. Develop and embed a safety culture in all our activities and recognize the importance and value of effective safety management and acknowledge at all times that safety is paramount. • Focus on Employee Growth, retention, and training. • Adhere to a higher standard to maintain Professionalism and Accountability in all settings both on and off the job; always focusing on reputation, cleanliness and ‘Service without Compromise’. • Maintain a company focus to improve overall Financial Performance and Profitability.